Time to grab the marinara. 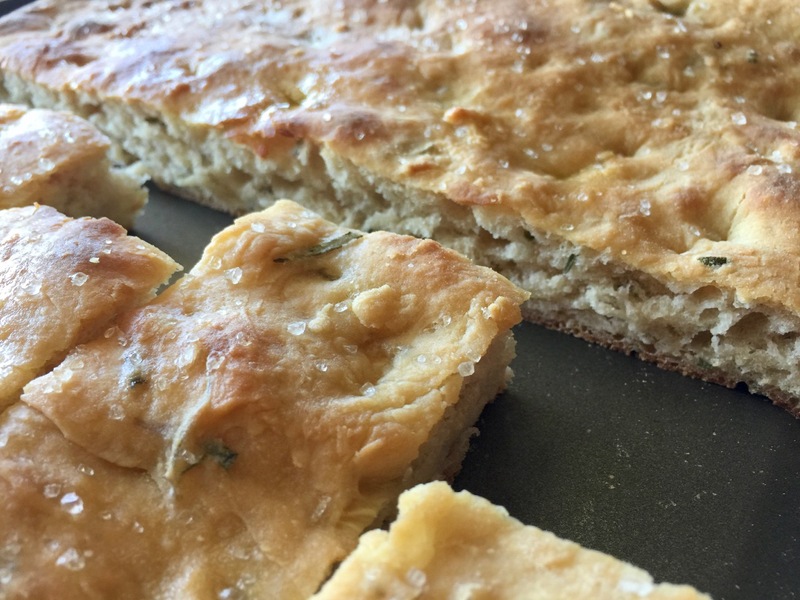 This Amish Friendship Bread focaccia is easy and delicious. I made this one with garlic, olive oil, rosemary, and coarse sea salt but you can top it with any combination of herbs, cheese, olives, sun-dried tomatoes or diced jalapeños … it’s totally up to you. This is a one-bowl recipe, meaning that everything goes into a large mixing bowl at once. If you own a stand mixer with a dough hook or have a bread maker, it’s even easier. 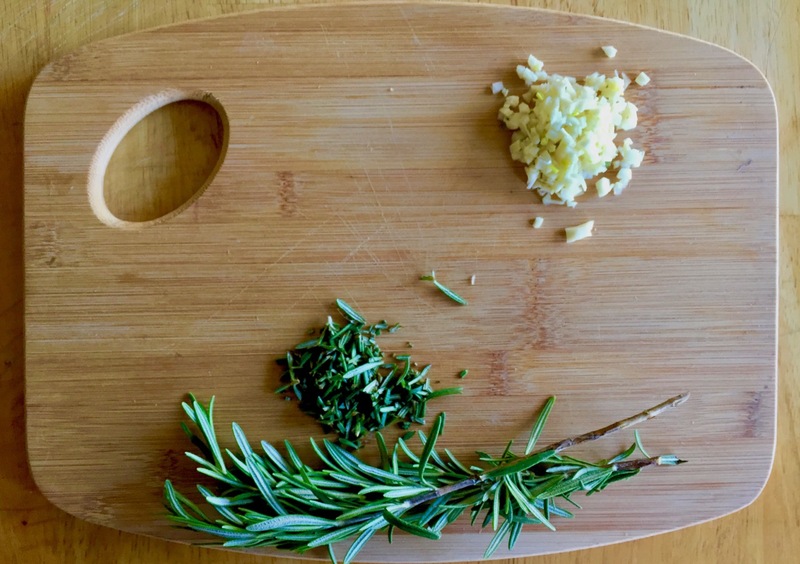 Start by stripping some rosemary off the stem and mincing 3 cloves of garlic. 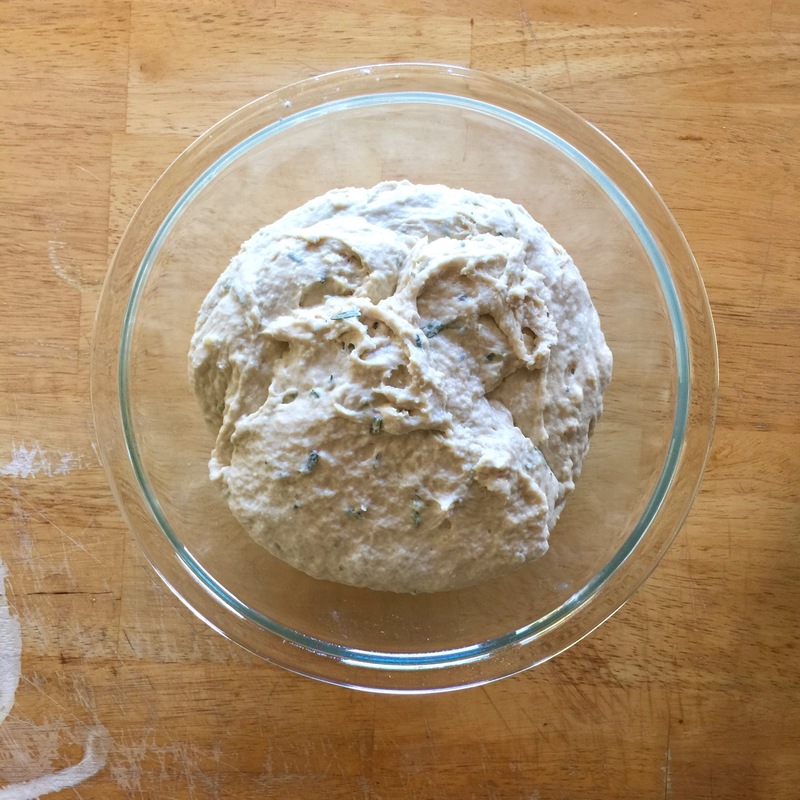 I used a friend’s bread maker to knead the dough, but if you’re willing to put a little elbow grease into the recipe, stir with a wooden spoon until all ingredients are well incorporated. 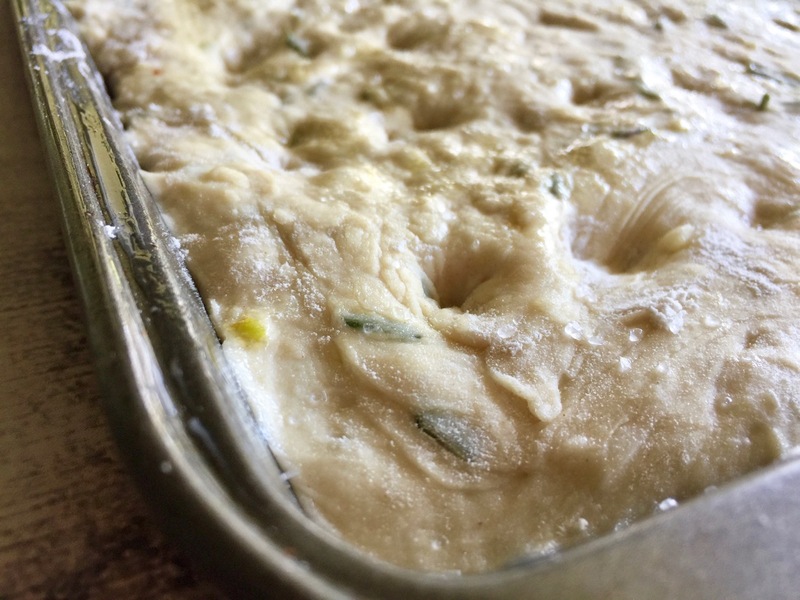 Turn onto a floured board and continue kneading until a sticky dough ball is formed. Add flour as necessary. Place in an oiled mixing bowl and cover with oiled plastic wrap. Leave in a warm area of your kitchen and allow to rise for two hours. Grease a rimmed baking sheet. Punch down the dough and turn onto the sheet, carefully pressing the dough towards the sides of the sheet. If the dough shrinks back, let it rest for a few minutes and try again. Cover with plastic wrap and allow it to rise until it doubles in size, about 2 hours (warm kitchens may go faster). Preheat oven to 450° F (232° C). Remove plastic wrap and gently dimple the top of the dough with your fingertips. Drizzle with olive oil and coarse sea salt. Bake for 20-25 minutes or until golden brown. Cool in pan before turning onto rack. Slice and serve warm as a side to a heaping plate of pasta or as an appetizer with a marinara or ranch dipping sauce. Pass the marinara! 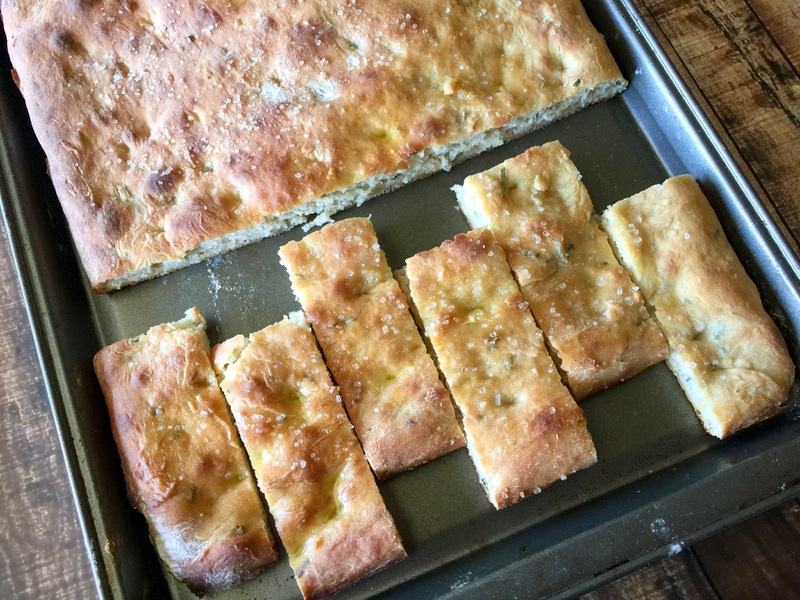 This Amish Friendship Bread Focaccia recipe with crushed garlic, rosemary, olive oil and coarse sea salt is easy and delicious. Combine all ingredients in a large mixing bowl (if using a bread maker, add into bread maker pan and set to "dough" feature). Turn onto a floured board. Knead until a sticky dough ball is formed, adding additional flour as necessary. 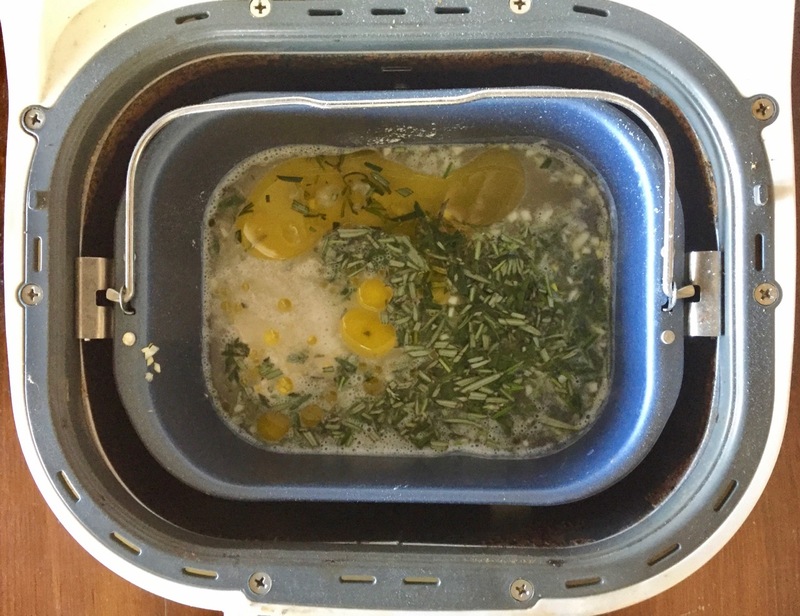 Place dough ball in an oiled mixing bowl and cover with plastic wrap. All to rise for 2 hours. Grease a rimmed baking sheet. 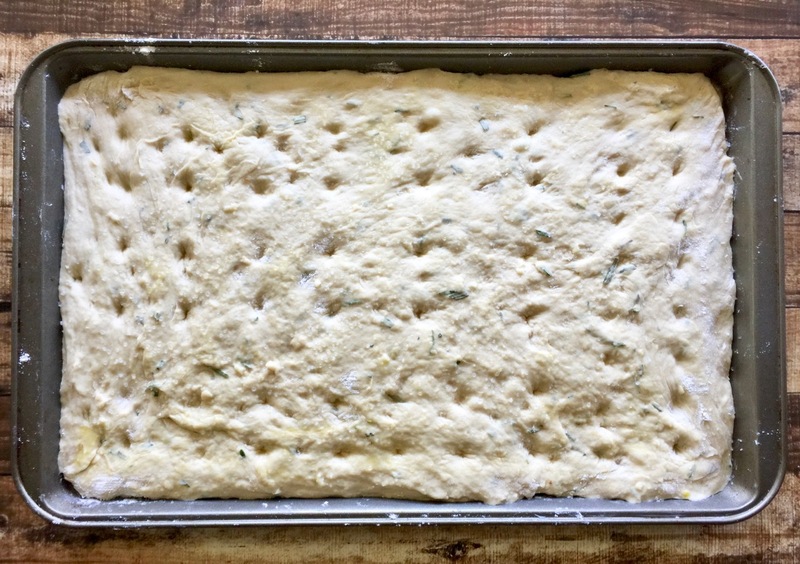 Punch down dough and turn into baking sheet, evenly pressing dough to the sides of the sheet. If the dough pulls away, let it rest for few minutes before continuing. Cover with plastic wrap and allow to rise until doubled in size, about 1-2 hours. Preheat oven to 450° F (232° C). Gently dimple the top of the dough with the tips of your fingers. Bake for 20-25 minutes or until golden brown. Cool in pan before turning onto rack. Slice and serve warm. Experiment with other toppings! Try chopped olives, sliced bell peppers or tomatoes, red pepper flakes, sliced jalapeños, and any combination of shredded cheese. How sweet is the bread? Do the savory ingredients overcome the large amount of sugar in the starter? Hi Polliwogette! 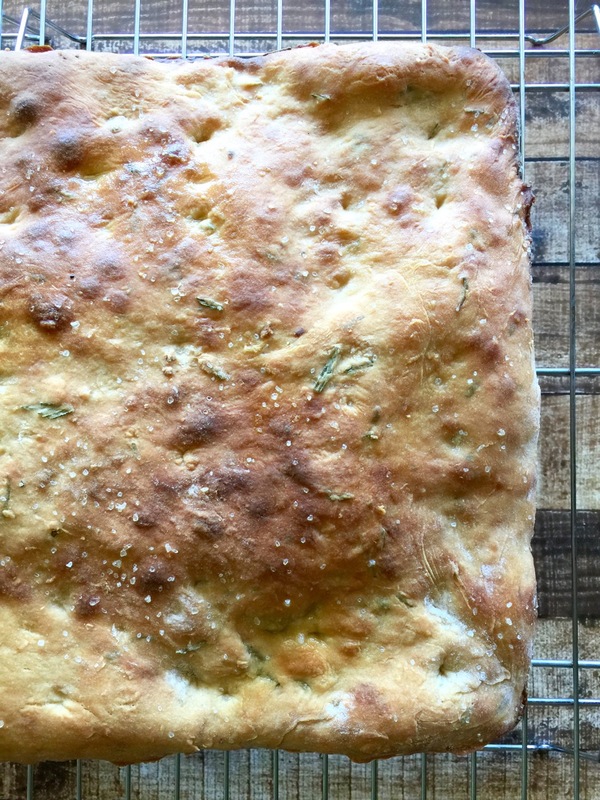 Yes, the savory ingredients do result in a savory focaccia bread. Just as in most Amish Friendship Bread recipes, there is still that hint of Amish Friendship Bread sweetness, but it compliments the sea salt in this recipe nicely and still results in a savory bread. If you’re concerned about the level of sweetness in this recipe, you can always half the amount of sugar added on day six and day ten of feeding your Amish Friendship Bread starter before you bake. Happy baking! My dough didn’t raise. I baked a brickbat and threw it out. Do you think my starter has gone flat?